Get ready London for the most colorful fun-filled day of your life! You’ll have more color on you than your happy levels can handle! So get your friends and family stretched out for this amazing color blast event where you'll get blasted with color while you run the Color Vibe 5K. Color Vibe is here, and you’re about to get tagged! The Color Vibe 5k run will be held at the Royal Windsor Racecourse. 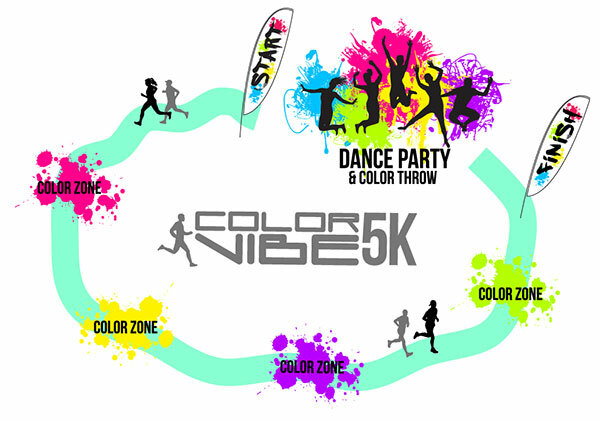 Color Vibe is ready to hook you up with stuff for your race packet. Race packets will be available the morning of the event. We’ll email you more details as well as post the location of packet pick-up here.